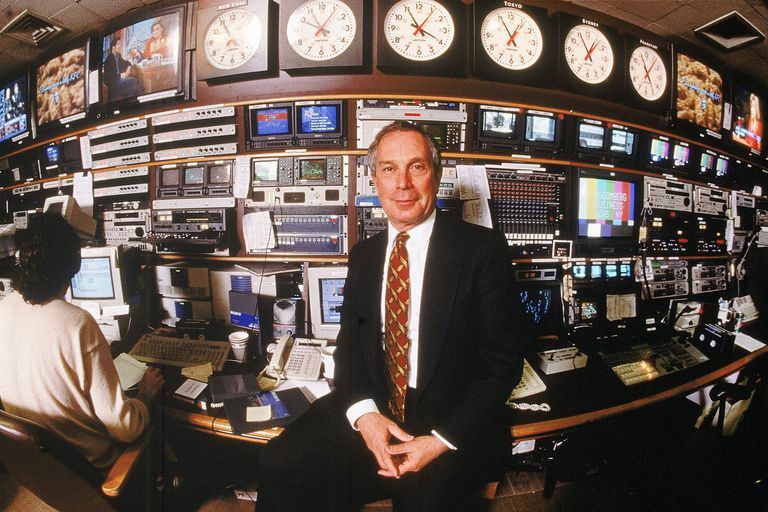 Michael Bloomberg is the founder of Bloomberg TV. If you're looking for a reliable source for the latest news in business and finance, Bloomberg TV is for you. Bloomberg is a 24-hour live television network featuring original reporting, syndicated shows, and topical news feeds from Asia, Europe, and the U.S.A. With a new mobile app for the iPad and plenty of content available for live streaming, Bloomberg TV is keeping pace with the online presence of other news networks while maintaining its unparalleled coverage of business and finance worldwide. You don't need to sign up with Bloomberg TV or have a premium cable subscription to access online content. If you choose to make an account, you'll be able to save videos and shows in a queue so that you can keep track of your favorite content. The Bloomberg TV website is divided into four major sections: Live TV, Video, Shows, and Playlist. The live TV features a video player with all the standard features. The site uses adaptive streaming so there are very few glitches in watching content, although there are a fair share of commercials - one every few minutes. The site features the standard sharing options including Facebook, Twitter, and LinkedIn. Users can toggle between live streaming content from the U.S., Europe, Asia, and International live events. Compared to watching the news on television, Bloomberg TV features a relatively simple interface with a list of must-see videos on the right side of the player and a stock ticker along the bottom. The Video section of the site automatically loads with the latest 'must-see' videos. You can also browse video content by topic, popularity, and date of release. Video discovery services such as Squrl feature Bloomberg content in their search databases. Most of the content in the Video section is taken from the site's live programming. The Television Shows section consists of the scheduled programming for Bloomberg's shows, organized by region. Bloomberg has developed a handful of mobile apps that provide an enriched experience of its news content. The most versatile of these apps for watching video content is simply called "Bloomberg" and is available for the iOS, Android, and Windows phones, and also for iOS and Android tablets. The app lets you check out the latest news, monitor stocks, and message other Bloomberg app users. The main section of the app - "News Headlines"- includes a link to watch the Live TV channel, and also features a list of the most recent news worldwide. Some of the stories feature video content, which is highlighted by an icon on the news feed. Watching Bloomberg TV on the iPad is a great way to catch this news service's live feed. Bloomberg TV+ takes advantage of the iPad's screen real estate with an intuitive interface and large video player. The app features live TV 24-hours a day, exclusive interviews, and original content produced exclusively for mobile users. Another great feature of the app is that video content can be downloaded to your iPad so that you can keep watching Bloomberg TV even if you're disconnected. The Bloomberg TV+ app is available from the app store, and it's definitely worth grabbing to take advantage of free, quality reporting.